The leaves were aglow with the color of autumn. 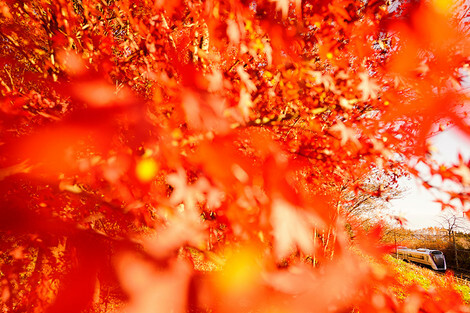 I was aglow with pleasure to see the color of autumn. And the train was aglow with reflecting the color of autumn.